A person with anorexia nervosa, often called anorexia, has an intense fear of gaining weight. Someone with anorexia thinks about food a lot and limits the food she or he eats, even though she or he is too thin. Anorexia is more than just a problem with food. It's a way of using food or starving oneself to feel more in control of life and to ease tension, anger, and anxiety. Most people with anorexia are female. While anorexia mostly affects girls and women (85 - 95 percent of anorexics are female), it can also affect boys and men. It was once thought that women of color were shielded from eating disorders by their cultures, which tend to be more accepting of different body sizes. It is not known for sure whether African American, Latina, Asian/Pacific Islander, and American Indian and Alaska Native people develop eating disorders because American culture values thin people. People with different cultural backgrounds may develop eating disorders because it’s hard to adapt to a new culture (a theory called “culture clash”). The stress of trying to live in two different cultures may cause some minorities to develop their eating disorders. Eating disorders — anorexia nervosa, bulimia nervosa or hyperphagia — usually appear in adolescence and often leave young patients and their families helpless. These disorders, whose prevalence is increasing, raise the question of early detection. 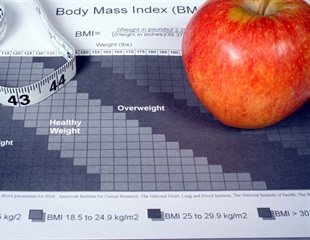 A new study has found that a persistent low body mass index in children, starting as young as age 2 for boys and 4 for girls, may be a risk factor for the development of anorexia nervosa in adolescence. Researchers at the University of Colorado Anschutz Medical Campus have found that the brain's response to taste stimuli is linked to high anxiety and a drive for thinness that could play a role in driving anorexia nervosa. Sound and object motion can be used to change perceptions about body size, according to a new study by an international team led by a researcher from the Universidad Carlos III de Madrid. A massive undertaking by the Brainstorm Consortium to analyze the genomes of nearly 900,000 people has revealed important insights into the genetic overlap among some psychiatric diseases, as well as among personality traits. Biological Psychiatry has published a new study revising the outdated estimates of the prevalence of eating disorders in the United States. Giving one year of estrogen replacement to female athletes with exercise-induced menstrual irregularities improves drive for thinness, body dissatisfaction and uncontrolled eating, a new study finds. According to a new study, the level of empathy we display may not be a result of our experiences and upbringing alone but also genetic. Researchers from Cambridge studied and made this novel discovery that appeared in the latest issue of the journal Translational Psychiatry. A new study published in the current issue of Psychotherapy and Psychosomatics explores the role of sexuality in the long-term outcome of anorexia nervosa and bulimia nervosa. With a new $50,000 award from the National Eating Disorders Association, a research team at the University of Kansas is developing a smartphone app for clinical use with patients receiving treatment for an eating disorder -- the deadliest of all mental disorders. Women at opposite extremes of the weight spectrum have low levels of the neuroactive steroid allopregnanolone, according to new research published in the journal Neuropsychopharmacology. By combining whole exome sequencing, machine learning, and network analysis, researchers have identified new, ultra-rare gene mutations within specific biological pathways that may contribute to eating disorders. In an analysis of nearly 960,000 females, individuals with eating disorders were more likely to be convicted of theft and other crimes. A large-scale, international whole-genome analysis has now revealed for the first time that anorexia nervosa is associated with genetic anomalies on chromosome 12. A landmark study led by UNC School of Medicine researchers has identified the first genetic locus for anorexia nervosa and has revealed that there may also be metabolic underpinnings to this potentially deadly illness. Female athletes and women who have eating disorders are prone to developing a condition called hypothalamic amenorrhea that causes them to stop menstruating. The Endocrine Society today issued a Clinical Practice Guideline advising healthcare providers on ways to diagnose and treat this condition.